Chairman, Ndokwa East Local Government Area of Delta State, Mrs. Nkechi Chukwurah escaped death by whiskers after miraculously surviving an attack by one her of security aides, simply identified as David, who opened fire on her at close range. The council boss, who was recently recalled from suspension by the state House of Assembly, stated that the bullets hit her in the stomach, hand and thighs, adding that 22 pellets were recovered. Speaking from her hospital bed in Asaba the state capital, Mrs. Chukwurah expressed shock that her security aide would want to harm her. 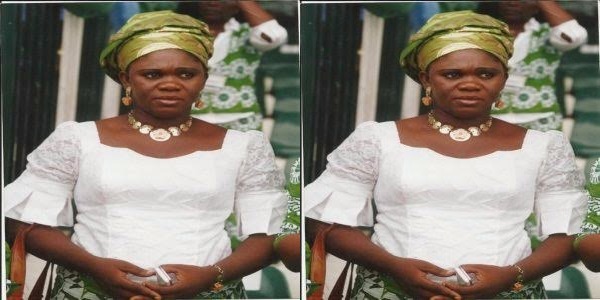 According to Chukwurah, she had just closed from a church thanksgiving service on the day of the attack, and was about entering her SUV when a security aide who was seated at the front turned and pointed his gun at her, opened fire on her, firing severally before other security aides rushed at him and seized the gun. On the shooter’s arrest, Mrs. Chukwurah stated that David confessed that he was hearing strange voices which urged him to shoot her. “My orderly just opened the door for me to enter the vehicle, while the policeman sitting in the the front seat turned to face me with his gun. “The next thing I saw was fire all over me, as he shot at me consistently. I was lucky the bullet did not open my stomach. I was hit in other parts. It was God who saved my life,” she narrated on phone. Contacted on phone, Public Relations Officer of the state police command DSP Celestina Kalu did not pick her calls, but a source in the command’s headquarters confirmed the incident yesterday, saying that the suspect had been arrested and was under investigation. Chukwurah was suspended as council chairman in March of this year by the state House of Assembly following a petition signed by twelve out of fifteen councillors, accusing her of misappropriation of funds among other offenses. She was only recalled two weeks ago.